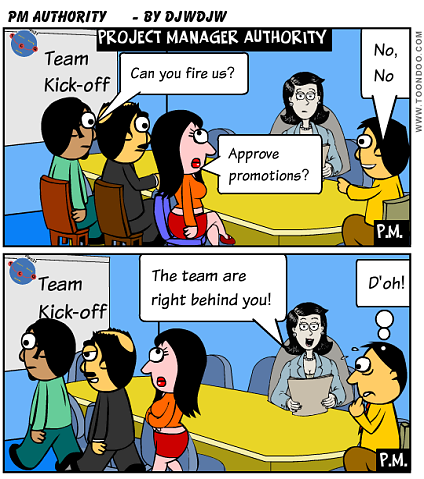 Is Project Manager Authority - Earned or Given? 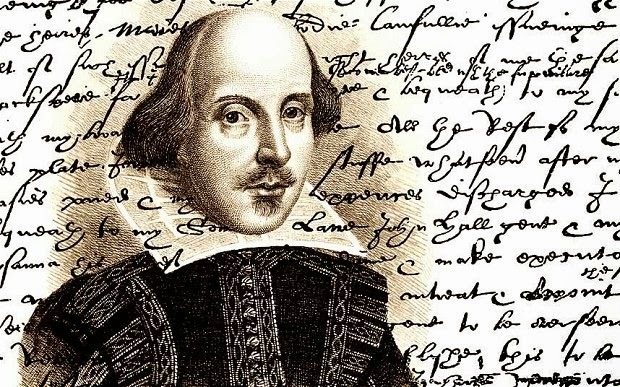 authority EARNED or GIVEN? I believe a bit of both is the answer but the ability to earn it is ultimately more important. Firstly, what authority is required? 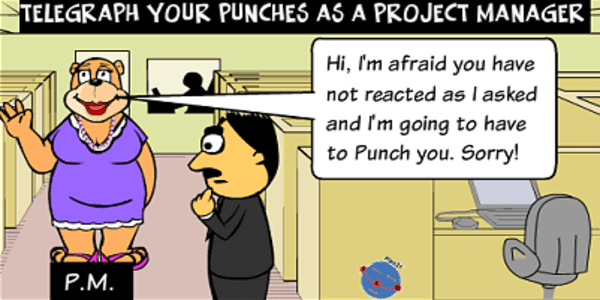 The Project Manager (PM) can't control the project without some authority. This authority may be to form the team but if the team is a given at least it should be to direct and control the allocation of tasks within the team. The other authority which I always will argue for is control of the allocated Project budget. I remember my old boss at AXA many moons ago saying "this is your money to spend as you see fit - as long as you deliver the project within the Time, Cost and Quality targets!!". I typically have never seen such total freedom since but within some bounds, budget control is important. You need sufficient authority to effectively manage and control the Project. Some of the this authority you can be given but much of it you need to earn especially if you come as an external consultant. I have previously spoken about the need for a solid Change Management process within your Project. 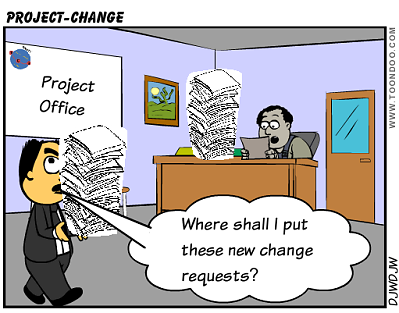 Although undesirable, sometimes you are faced with a Project that has to cope with high level of change requests. In such circumstances, I tend to modify my vanilla 4 step process to give you the best chance of coping without totally derailing project progress. The RFC is evaluated for impact on the project e.g. Effort/Cost, Impact on baseline plan etc. 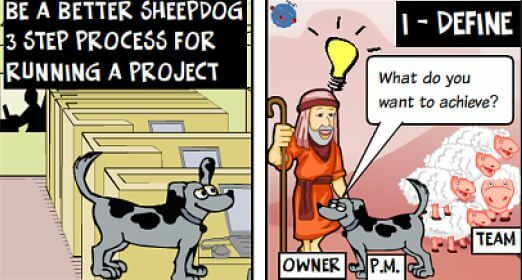 So in summary, remember the proverb "If project scope is allowed to change freely, the rate of change will exceed the rate of progress"
So after these considerations you still need to handle the high volume of Change Requests - I recommend optimising the vanilla 4 step process. 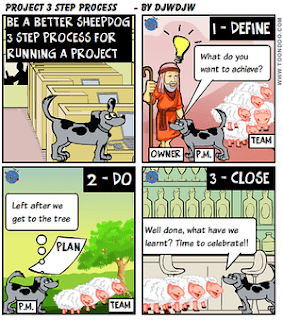 I should note that this process is tailored to IT projects although the same principles apply to other project types. Although these are 3 separate roles, one person can take more than one role which can make it easier. So a good example might be the Senior User covering Requirement and Business champion roles in the process.